Boating accidents are not uncommon, especially when such factors as weather or alcohol come into play. If you have been in a boating accident that you think was not your fault, or have been a victim of a boating accident over which you had no control, it’s best to talk to an attorney right away and discuss your options. Call Williams & Williams Law Firm at 770-823-2711 for a free review of your case. Our lawyers serve clients throughout the Atlanta area from our office in Alpharetta. The majority of boating accidents occur at the end of the day. At this time, lighting is low, and drinking is usually higher than in the morning. If you would like to learn more about boating accidents, you should get in touch with a reputable attorney today. If you have not yet been involved in a boating accident and want to learn more about how to avoid one, read on. There are several things you can do to help avoid a boating accident in future. 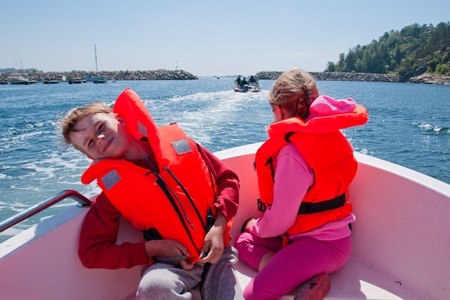 These include always wearing life jackets and ensuring that every passenger aboard your boat is wearing them too. Always pay attention and make sure that the ignition safety switch lanyard is on your wrist or attached to your person, so that if an accident occurs, the boat’s engine will cut out. Don’t let anyone sit on the sides of the boat, on the backs of seats, on the bow or the back, or anywhere else that isn’t specifically designed as a seat. Never overload your boat, and always be sure to balance gear and people so that one side of the boat is not heavier than another. Don’t let people stand up, which changes the center of gravity and can be dangerous. When turning, always slow down, and don’t boat in bad weather or when intoxicated. If you have successfully avoided all of these and have still had a boating accident, chances are it was not your fault, and you may be due compensation. People die every year from boating accidents. Even when there are no fatalities or injuries, boating accidents can cause severe property damages. If you need a boat accident attorney for help, advice or representation, don’t hesitate to get in touch with Williams & Williams Law Firm. Call us at 770-823-2711 or email us through our website to learn more.